We love the holidays, especially the food! There are so many fun and creative things you can do with food to help decorate your table and get everyone into the holiday spirit. The good news is that you don’t have to be a great chef to accomplish these dishes. Here a few favorites that will wow your guests, and won’t have you spending all your time in the kitchen! Turkey Tree & Wreath Vegetable Trays: Whether you’re serving for Thanksgiving or Christmas, a good veggie tray is always a welcome appetizer! 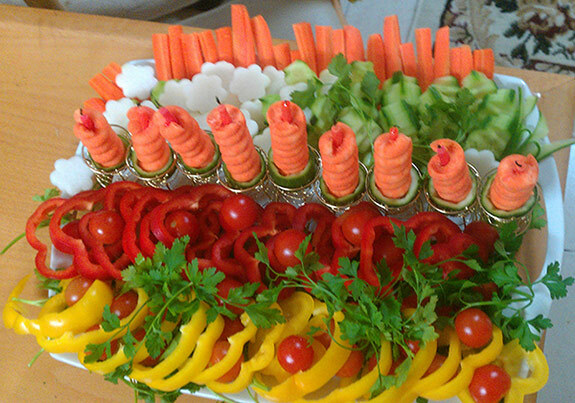 These cute themed veggie tray ideas from Stop Lookin’ Get Cookin’ will be a hit. 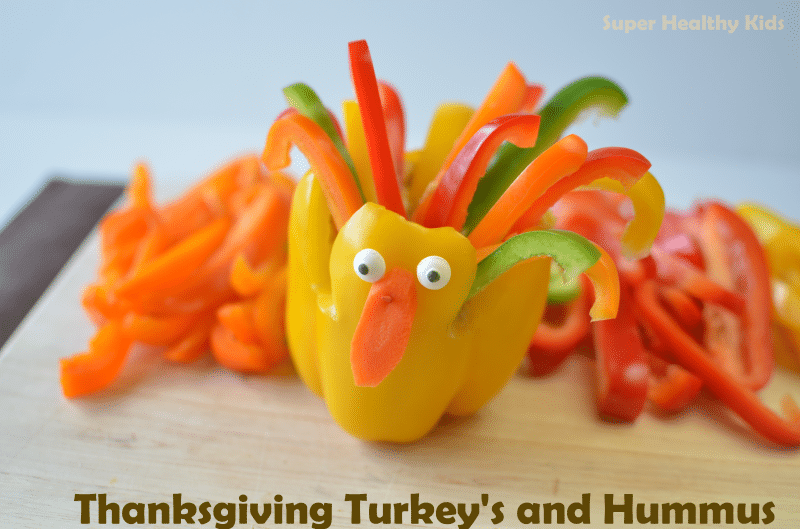 Turkey Peppers: Filled with hummus or your favorite dressing, these little turkeys are cute and healthy! 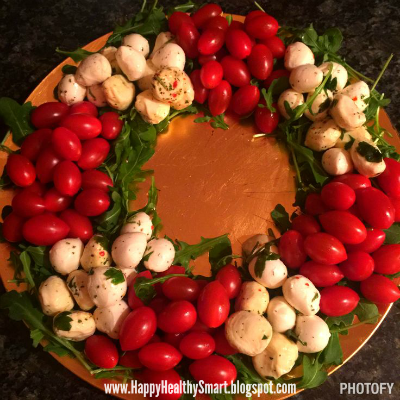 Caprese Salad Wreath: Who doesn’t love Caprese Salad, especially in bite-sized pieces and themed like a Christmas wreath? So easy, so yummy, and so aesthetically pleasing! Christmas Tree Charcuterie: Take you favorite cheese, meats and veggies and shape into a Christmas tree or wreath! 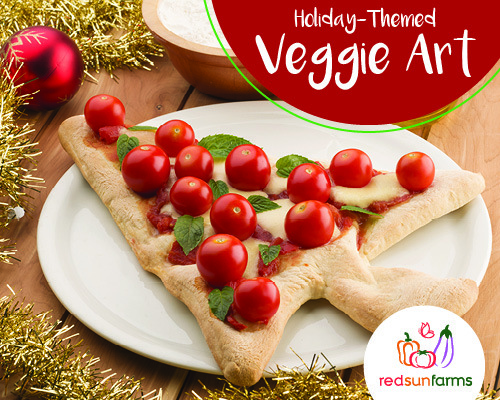 Veggie Menorah Trays: Celebrate around the Hanukkah table with these themed menorah trays!